The government will renew the Green Flag Award licence making sure that Britain’s best parks and green spaces will be recognised and rewarded for another 5 years, Parks and Green Spaces Minister Marcus Jones announced today (23 August 2017). The minister made his announcement in Rugby, a town that boasts not one but four Green Flag winning parks, many of which were originally derelict sites that have been transformed by the hard work of the community and the local council. For 20 years, the Green Flag Awards have been recognising the best of outdoors spaces in the UK, allowing visitors to easily find quality parks and other green spaces to enjoy and setting standards for park managers across the country. Many parks have won the award, but winners also include more unusual spaces such as social housing developments, cemeteries, canals, and shopping centres. The awards are run on behalf of the government by Keep Britain Tidy, an environmental charity that campaigns for people’s right to live and work in a place of which they can be proud. I am very happy to confirm that the Green Flag Awards will be continuing, championing Britain’s excellent parks and green spaces and the people behind them. Centenary Park in Rugby is an example of a leading Green Flag park. The minister met volunteers who had helped turn a neglected allotment into a space for the whole community. The park now boasts a large play area, a games area, a green gym and nature area, including flowers to attract bees and butterflies. The Newbold on Avon Community Association and Rugby borough council fought hard to secure over £215,000 to transform the neglected land. In addition to a well deserved Green Flag Award, Centenary Park was also named the most improved park by Fields in Trust in 2016 and received an award from the Department for Environment, Food and Rural Affairs for providing an excellent home for bees and other insect life. Another Rugby park benefitted from a share of the Department for Communities and Local Government’s £1.5 million to encourage urban communities to turn small, often derelict, pieces of land into ‘Pocket Parks’ for the benefit of all. Rugby’s Gladstone Green Pocket Park received £10,000 and now contains a vegetable patch for neighbours and a picnic spot to enjoy the produce they’ve grown themselves. This is part of a wider plan to encourage the New Bilton community to grow their own food. 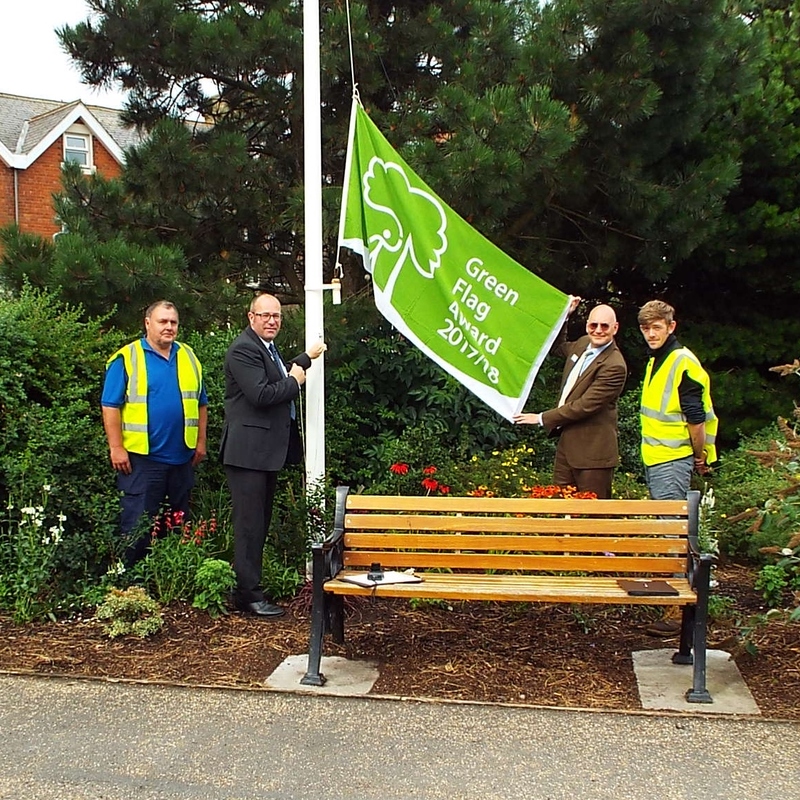 Gladstone Green won a Green Flag Community Award in 2017, a special award created to celebrate the hard working volunteers behind the nation’s favourite green spaces. 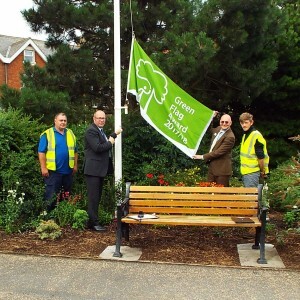 We welcome the extension to the Green Flag Award licence as we know how important the scheme has been in the renaissance of our parks over the past 20 years. We are delighted that the announcement is being made in Rugby as they have shown how people benefit from the provision of quality parks and green spaces in particular in encouraging people to live healthier and more active lives. My visit to Rugby demonstrated how parks and green spaces can breathe life into our towns and cities – contributing to the health and well being of the community. I am very much looking forward to outlining our future plans to support Britain’s parks in due course. The Green Flag Award accreditation scheme is the national quality standard for public green space, used by the vast majority of local authorities and a growing number of communities, universities and social housing providers to maintain and improve the quality of green space. DCLG has operated the scheme under a concessionary licence to Keep Britain Tidy since 2012 and the current renewal ensures the scheme will continue until 2022. Running the scheme involves no financial investment by government. Any surplus from the fees that are collected is reinvested into the scheme by Keep Britain Tidy. In 2016, 1797 Green Flag sites existed across the UK as well as 84 sites across 9 other countries which are currently piloting the scheme. Since 2012 the scheme has been operating pilot schemes across a number of other countries. Currently there are 9 countries involved including Australia, Germany, Finland and the United Arab Emirates. Internationally the scheme is considered a flagship for the management of green spaces.